Shack is back with a look at another old school arcade game. 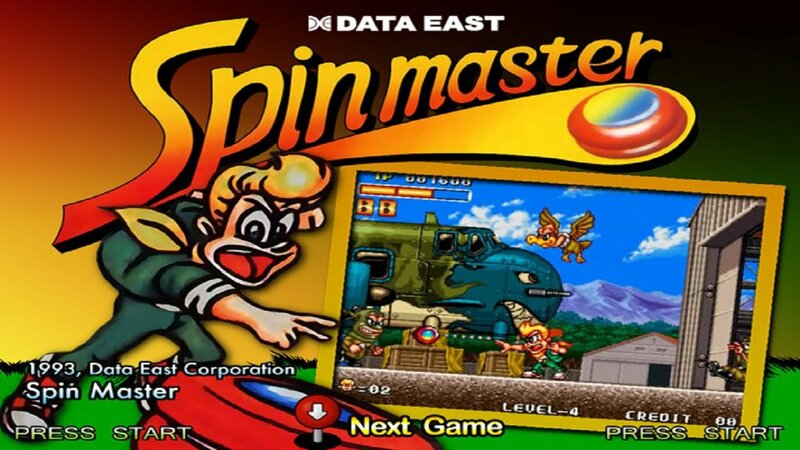 Spinmaster, known in Japan as Miracle Adventure, is an arcade game developed and released in North America by Data East in December, 1993. It is the first game Data East developed and released for the SNK Neo-Geo MVS hardware. The game featured a Yo-Yo weapon and was a side-scrolling run and gun shooter. Spinmaster supported two players and featured a solid selection of weapon pickups. There was also a wide variety of levels and enemies in the game. Spinmaster never saw a sequel hit arcades, but it was ported to Virtual Console and some random Android device called Zeebo. Please take a look to find out more about the game in this latest episode of Shack's Arcade Corner. OK, you got me with this one. I remember Wonder Boy, Kid Niki The Radical Ninja, and Caveman Ninja, but not Spinmaster.